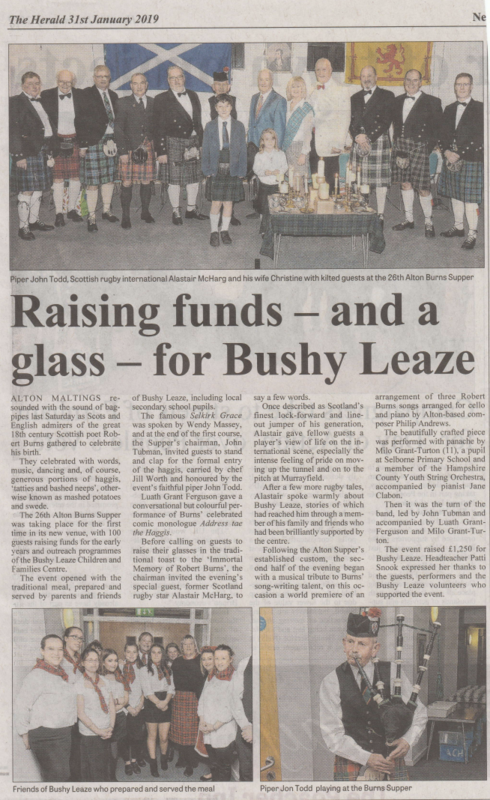 The Three Burns Songs were written especially for a performance at the Burns Night supper which took place at the Alton Maltings in Hampshire on Saturday 26 January 2019. 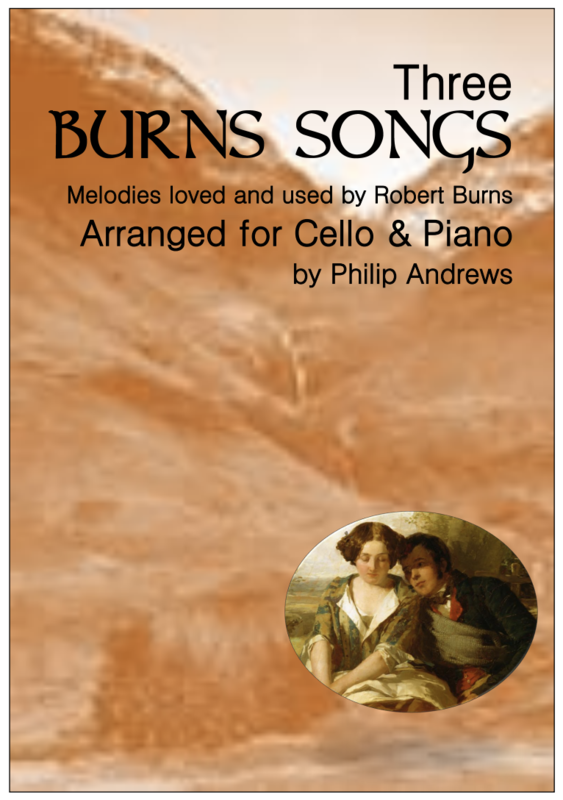 Arranged for cello and piano, the pieces were selected to give variation of mood and celebration of Scotland’s national poet and lyricist. Comin’ Thro’ the Rye and Lovely Polly Stewart are the outer movements, with the hauntingly beautiful My Heart’s in the Highlands as the slow middle movement. The music has been published by Bee & Thistle Press and is available for purchase for just £12.50. For details, get in touch with Philip through the Contact page. 2018 marked the centenary of the birth of Peter Opie, who formed a team of folklorists with his wife Iona and wrote many books relating to children’s nursery rhymes and their origins. 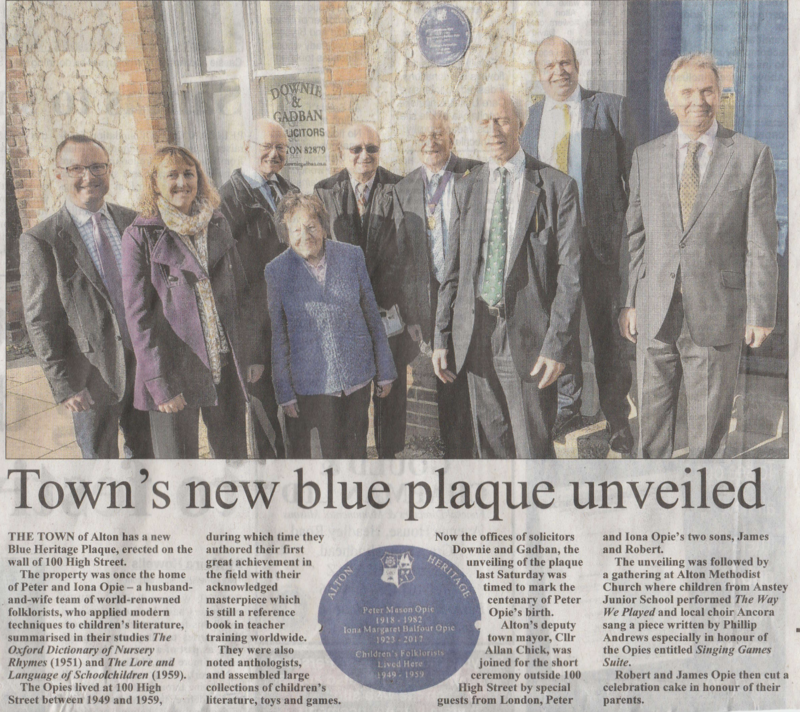 Much of their work was carried out from their home at 100 High Street in Alton, Hampshire, and to commemorate the occasion a blue plaque was unveiled by two of the Opie children, James and Robert, themselves both distinguished in their own right. 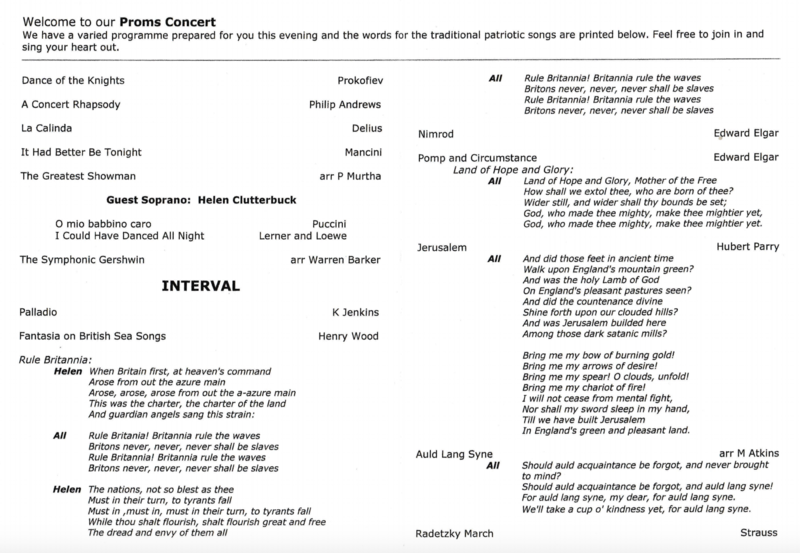 As part of the commemorations, Philip arranged a set of six songs based on the collected songs by Peter and Iona for unaccompanied youth choir. 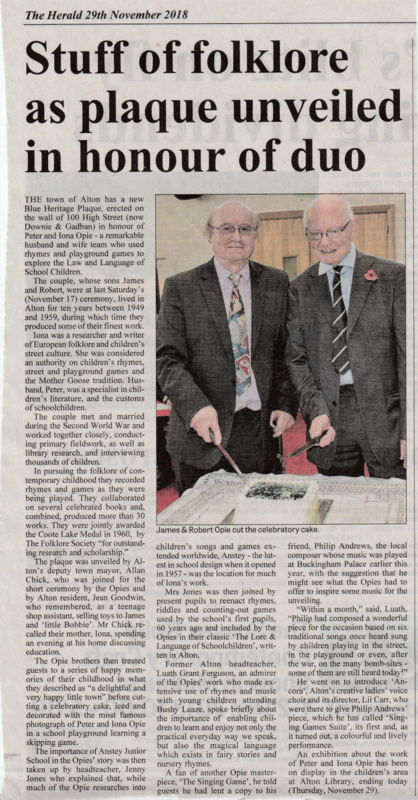 After the unveiling of the plaque and speeches from both Robert and James, the first performance of Singing Games Suite took place in Alton Methodist church, directly across the road from the Opies’ house. The ladies choir Ancora were the singers for this event. It proved a great success, and afterwards both Robert and James Opie told Philip how extremely pleased and touched they were by the music. A date has now been confirmed for the first performance of Philip’s new composition honouring the world famous naturalist Gilbert White. It will take place on Saturday 29 June 2019. 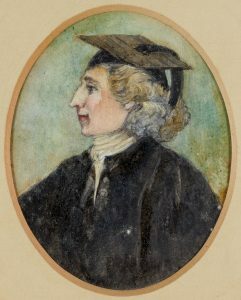 A Purer Air is a musical portrait of the Selborne curate, who was born in the idyllic Hampshire village (not far from Philip’s own home of Alton) on 18 July 1720. He died in 1793. This composition is to mark the upcoming 300th anniversary of White’s birth and is divided into eight musical sections, interspersed with readings by an actor portraying Gilbert White and using his own words from writings and journals. The concert will take place at St Matthew’s Church, Blackmoor, just a short distance from White’s home in Selborne, and will form part of the Spring events taking place in 2019. It promises to be a high quality concert, featuring the same musicians who performed so brilliantly in Philip’s popular Jane Austen Suite in 2017. Watch this space for more information on how to get tickets for this unmissable event. 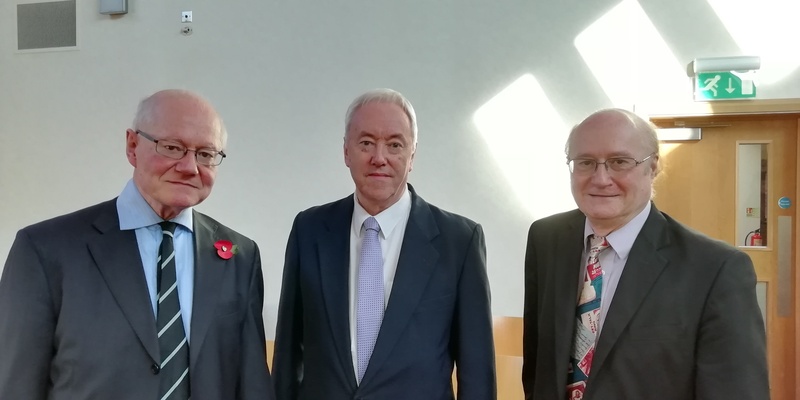 The first performance of Philip’s newly published composition for concert band took place on Saturday 15 September 2018. 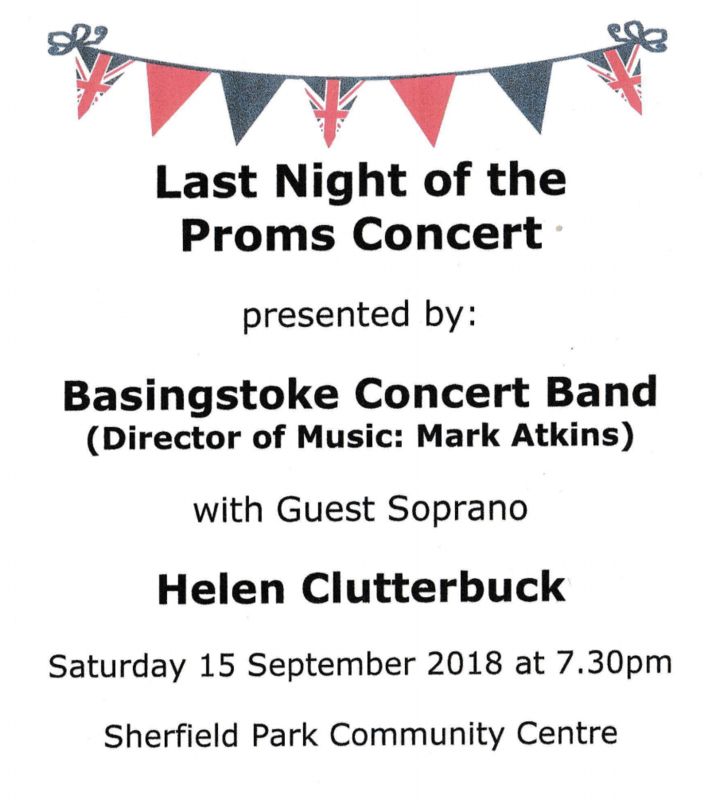 Basingstoke Concert Band, for whom the piece was specially written, performed A Concert Rhapsody as part of their Last Night of the Proms concert at Sherfield Park Community Centre. The night also included guest soprano Helen Clutterbuck. The piece was warmly received by an enthusiastic audience, and gave further evidence of Philip’s compositional diversity. Three song settings of Philip’s, all based on poems, were recently recorded at St. Nicholas Church, in Steventon in Hampshire, UK (the birthplace of iconic novelist Jane Austen) on 16 June 2018. After The Winter is by Claude McKay, Moment Musicale by Bliss Carman and The First Day by Christina Rossetti. Soprano was Theresa Lunn, accompanied on the piano by Paul Wright, who also recorded the session. Philip, Theresa and Paul have worked together before, and Philip described it as ‘an enjoyable morning’s recording’ with two very talented collaborators. 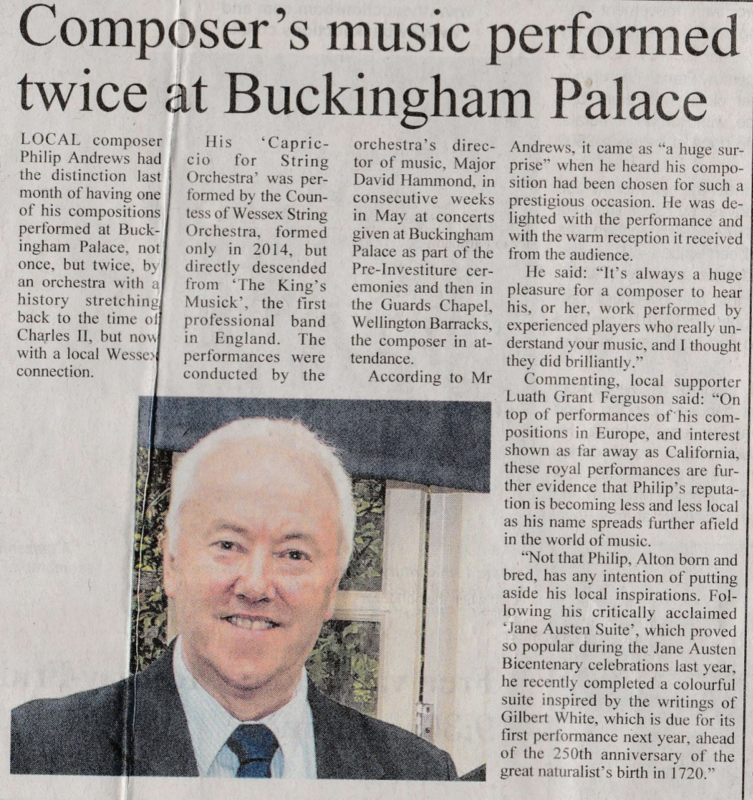 Philip recently had the great honour of having one of his musical compositions performed at the Queen’s London residence of Buckingham Palace. Capriccio for String Orchestra was performed on two successive weeks by the Countess of Wessex String Orchestra as part of a concert given preceding investiture ceremonies in May. These included Sir Paul McCartney and Dame Darcey Bussell being honoured by Her Majesty. The orchestra was conducted by its principal musical director Major David Hammond, who also oversaw a further performance of the same work at a concert in the Guards’ Chapel, Wellington Barracks, London on Tuesday 22 May. After a fitting and highly significant performance in the author’s birthplace of Steventon in June 2017, Philip’s Jane Austen Suite was enjoyed again at another venue strongly connected with her. The concert was repeated by the same excellent performers at Chawton House Library in Hampshire, UK, on Saturday 7 October 2017. The House was owned by Jane’s brother Edward and is now dedicated to the ‘research and understanding of early women writers’.